Mai Mihara of Japan performs her Short Program at 2018 Internationaux de France. Mai Mihara of Japan hold the lead in what is a virtual tie with teammate Rika Kihira and Russia’s Evgenia Medvedeva after the Ladies’ Short Program in Grenoble, France. Mihara under-rotated the back end of a triple Lutz-triple toe, but was otherwise solid in her routine to “It’s Magic” by Doris Day. The 2018 Four Continents silver medalist landed a triple flip, double Axel and showed level 4 spins and strong level 3 footwork to post 67.95 points. 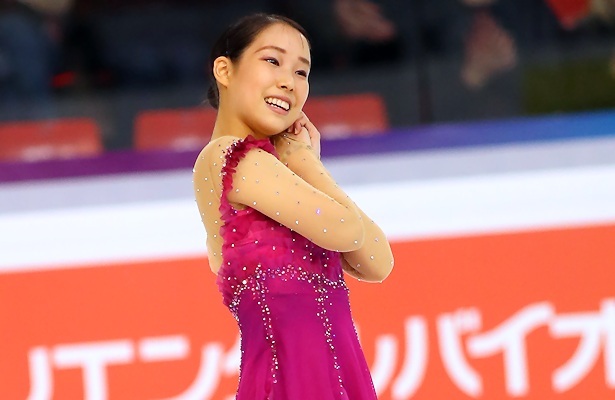 Teammate Kihira popped her opening triple Axel, but landed a triple flip-triple toe and triple Lutz, showing strong spins and footwork in her routine to “Clair de Lune” by Claude Debussy. The Japanese Junior champion eared 67.64 points for second place. Medvedeva received an edge call on her opening triple Lutz and had a shaky landing on the triple flip-double toe (meant to be a triple), but managed two level four spins to place third with 67.55 points for her routine to “Orange Colored Sky” by Natalie Cole. Japan’s Marin Honda earned a season’s best of 65.37 with her bluesy rock routine to “Seven Nations Army” by The White Stripes. The 17-year-old from Kyoto under-rotated her opening combination jump, but delivered strong spins and footwork to finish fourth. Russia’s Maria Sotskova is currently in fifth (61.76), followed by USA’s Bradie Tennell (61.34). Ulrich Salchow (7 August 1877 – 19 April 1949) of Sweden of Sweden still holds the record of winning 10 World titles, along with Sonja Henie (NOR) and Irina Rodnina (USSR). 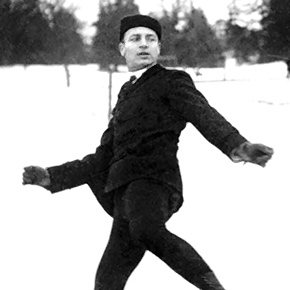 After his competitive days, Salchow remained active in the sport, and was president of the International Skating Union (ISU) from 1925 to 1937.